IDEAL FOR USE WHEN CAMPING, HIKING, BIKING OR TRAVELLING!! Mosquito Mode:- This device emits ultrasonic waves that imitate the sound of male mosquitos to drive away the female mosquitos. 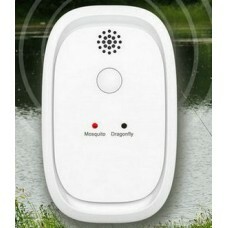 Dragonfly Mode:- This device imitates wing beat sound of the dragonfly (the natural enemy of mosquitos) to repel the mosquitos away.